It was the promise of great wines that first drew Paul and Eileen Gerrie, owners of Cristom Vineyards, to Oregon. They conceived of a place where the succulent Pinot Noir grape could achieve its fullest expression – complex, hand crafted wines that are bold yet balanced: both powerful and elegant. Their wines evolve as they age, revealing ever greater richness and complexity with time. 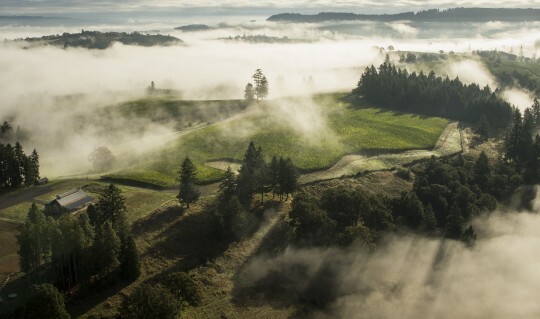 The abundance of soils and slopes in the hills of Oregon defined the Gerrie’s vision of world class Pinot Noir. The warm winds of summer held the promise of rich Chardonnay, the cool sunny autumn yielded tart Pinot Gris. Since the inaugural vintage in 1992, the Gerries, along with winemaker Steve Doerner, have been producing wines that are considered the benchmark in Oregon and have made Cristom, named after their children, Christine and Tom, a veritable household name.